A 35-year-old man suspected of abducting his 15-month-old son in Los Angeles is believed to have made his way to Mexico, police said Wednesday. 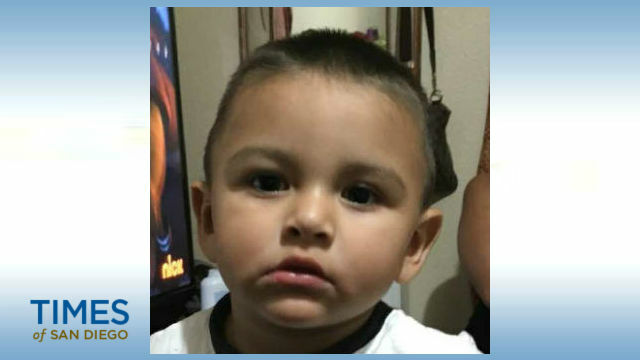 Noe Reyna is believed to have been taken by Carlos Ivan Reyna Lara, who does not have custody rights, according to the Los Angeles Police Department. They were last seen together around 4 p.m. Tuesday in the 2000 block of East Fourth Street in the Boyle Heights neighborhood. The California Highway Patrol issued an Amber Alert for Noe early Wednessday morning for Los Angeles, Orange and San Diego counties. A court issued an order Tuesday for the Department of Children Family Services to take Noe into protective custody, police said. Both parents were in court and notified of the court order. The parents were in court on a narcotics-related issue when they lost custody, according to reports from the scene. DCFS officials went to the parents’ home to pick up the boy when they realized he was gone, as well as his father, investigators told reporters at the scene. Noe is Hispanic, 2 feet tall, about 35 pounds, with black hair and brown eyes. He was last seen wearing a yellow shirt, black shorts with two green stripes and black tennis shoes. A description of the father was not immediately available. Noe’s mother is cooperating with authorities, police said. Anyone with information about the case was urged to call the LAPD’s Hollenbeck Division at (323) 342-4101.